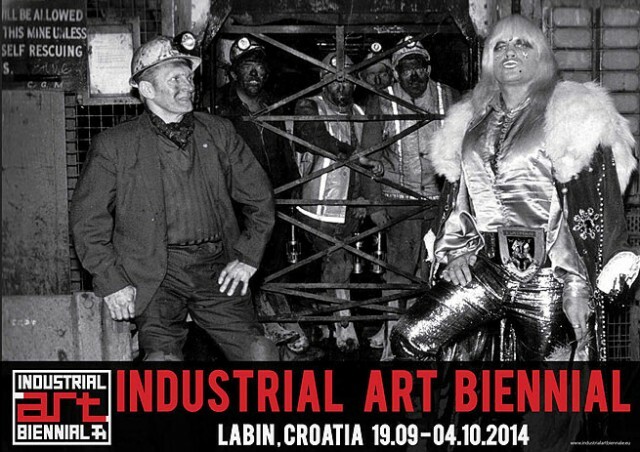 Laibach is opening the Industrial Art Biennial (IAB) in a historic Istrian city of Labin, Croatia, September 19th, 2014 with a Red District exhibition. Industrial Art Biennial (IAB) is a new art festival project of Labin Art Express XXI (L.A.E. XXI), which would be held first as a pilot-project in 2014 in Labin, and from 2015 biennially in Labin as well as at some other industrial locations in Istria (Raša, Pula, Rovinj,…), while from 2019 it should take place also under the ground, in the former coal mine 160 m below ground level, where L.A.E. XXI is developing its fundamental project Underground City XXI whose construction is planned to start in 2016.